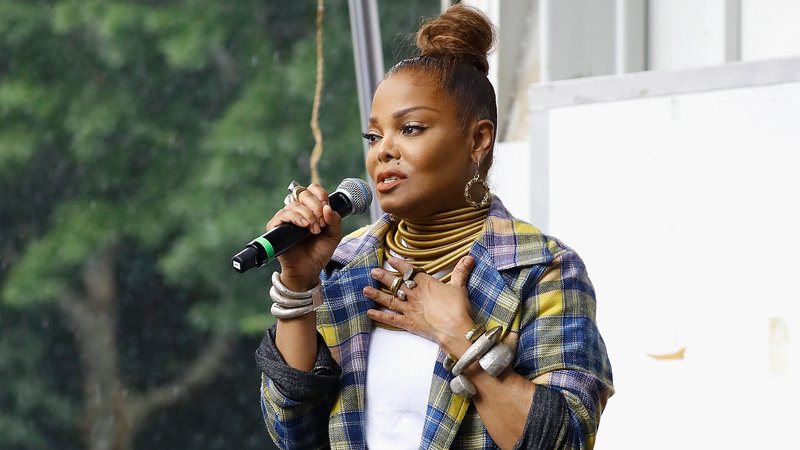 More: Janet Jackson's New Mom Life Involves "Being Waited on Hand & Foot"
In Janet's video, posted on Instagram, she plays an African queen who wants to be entertained. Much like Michael's original video, the queen finds herself disappointed by the performers and dismisses them one by one. That is, until a final performer takes the stage and dances — and his dance takes the queen's breath away. Of course, the dancer in Janet's video is great — as is the video itself — but both he and the new clip do not compare to Michael (but how could they?). That said, the collaboration with Kwaylon “BlameItOnKway” Rogers, Andrew “King Bach” Bachelor and Diamond Batiste paid off, as the video is a fitting tribute. But Janet isn't the only one honoring the late Michael today. La Toya Jackson posted a touching message on Instagram: "You graced the world with your Untouchable Phenomenal Talent! Your Bright Beautiful Smile and your unconditional love for all! There will never be another! We love you! Happy Birthday Michael!" Tito Jackson also shared a photo of he and Michael on the social media platform, with a simple caption "#MJ4EVER." And most of the Jackson clan will be in Las Vegas this evening for the MJ Diamond Celebration at the Mandalay Bay Resort and Casino. In fact, Michael's brothers will be performing alongside Cirque du Soleil. That said, there is no word as to what Michael's three children, Michael Jr., Paris and Prince are doing and/or if they will be there.